If you have been struggling to garner attention for your YouTube channel and have not had much luck, you are certainly not alone. Building a successful YouTube channel takes time and a lot of work. One of the biggest goals of any YouTube channel owner is to make their channel stand out from the rest. With this information, you will learn how to make your channel unique. Growing a YouTube channel is not going to happen overnight. Many people become intimidated over others’ success on YouTube and they give up prematurely. It is imperative you remember, everyone on YouTube had to get their start somewhere. They did not automatically create a fabulous channel with millions of followers. The YouTube channel art you choose can have a dramatic effect on the level of traffic you experience. Customized channel art can help with branding and will entice viewers to visit your channel and learn more. Hiring a professional to help with art is wise. Choosing the right niche is also important. Some niches are harder to compete in than others. Choose a niche that showcases your expertise and confidence, while allowing you to shine. Developing a unique personality is also crucial. Big names on YouTube have made it big because of their personality that stands out from the rest. Although you should never attempt to be something you are not, having a unique personality will get you noticed. Your profile image is essential when setting up your YouTube channel. This is the first image people will see when they view your channel and it needs to be interesting. 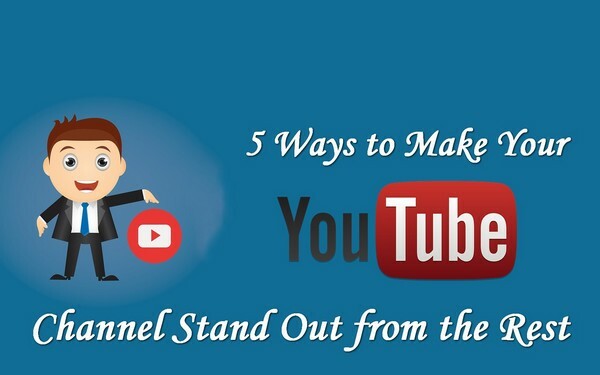 A custom creation will help distinguish your channel from others. You will also want to make sure you properly market your channel so it gains attention. Getting a video to go viral can also help. The more views your videos get, the better the chances of you becoming a popular YouTube star. Making it big on YouTube takes a concerted effort. The more time you can devote to improving your channel, the better. Some people choose to hire a professional designer or marketer to help them increase the popularity of their channel. If you do not have the time to devote to building a YouTube channel and want faster results, hiring a professional may be the best answer. YouTube is one of the most popular destinations on the Internet and it is a great place to get your start. With the right steps and time, you can gain a bigger audience and receive the attention your channel deserves. When in doubt, check out those YouTube channels you really like and study what sets them apart. Although it will not happen overnight, your efforts will not be in vain. If you truly want to be a success on YouTube, make sure your effort matches your desired results and you will gain the success you desire. If you fear your skills are lacking, you can always employ the help of design and marketing professionals to ensure your YouTube channel has that “spark” that leads to greatness. Really wonderful blog with amazing minimal articles, well, the idea of this blog is totally different from other sites I’ve been spending time over the 20+ website and this is one the out of the box site for me and my girl. Thanks for sharing valuable article. Useful blog. Keep Sharing articles like this…..